Not everyone is a fan of the new WhatsApp Status tab. This quick guide will help you revert back to the old (text based) style of WhatsApp Status. Enjoy it while it is still possible. 23rd February, WhatsApp had rolled out a new feature called Status. 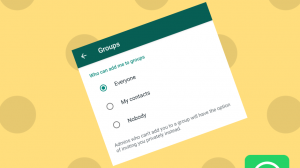 This feature adds a tab to the app, similar to the Chat tab, where WhatsApp users can see status (photos/videos/GIFs) shared by their contacts. 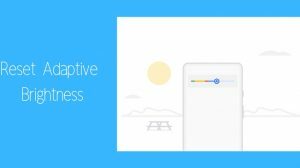 The back fall of this feature is that company removed the old text-based ‘status’ feature that was part of user’s profile. Not everyone is a fan of the new Status feature, including me. So, if you also are someone who would rather go back to writing song lyrics or emotional quotes as Status on WhatsApp, here’s a way to get back to old WhatsApp status. Although WhatsApp has recently reported that they will be bringing back the old Status feature that allowed users to set up a text message as their Status. But now the feature will be called Tagline. Currently this feature is added in the WhatsApp Beta for iOS and Windows, but it’s hidden at this time. It might take some time to enable it for public. Till that time you can get back to Old WhatsApp Status on your android by following this tutorial. 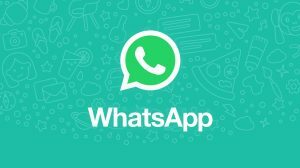 On a non rooted device you can easily get back to Old WhatsApp status by installing WhatsApp version 2.17.60. You can download it from here. Just make sure that you take the backup of all your messages. Then uninstall the current WhatsApp and install WhatsApp v2.17.60 to get back the old status setting. 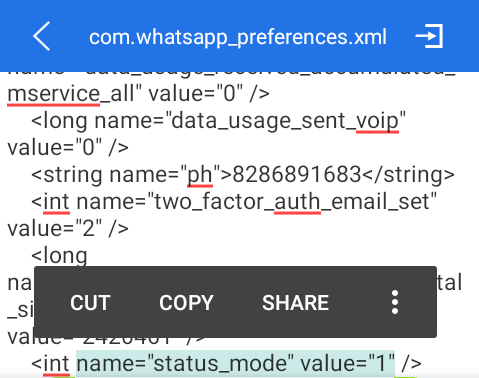 If you happen to have a rooted Android device, then you can change a value in the WhatsApp configuration (xml) file which will enable the old WhatsApp Status, without needing to install the old version. First of all Force stop WhatsApp (Settings > Apps > WhatsApp > Force Stop). Now, scroll or use the find tool to search for the below line. Hi.i want to roll back 5days back status of mine for iPhone 6plus.may I know the process of it.please it’s urgent.